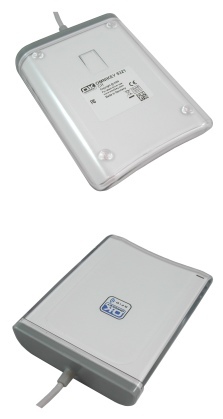 The Omnikey 5321 clean room reader is a completely sealed waterproof and dustproof contactless smartcard reader operating at 13.56 MHz. The sealed housing supports end-user environments such as medical, manufacturing or scientific research where hygiene is an important factor. 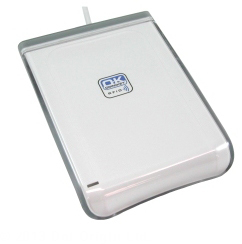 The Omnikey 5321 clean room reader is USB 2.0 PC-linked and is compliant with ISO 14443A and B and ISO 15693 specifications; it also comes complete with WHQL approved drivers for Windows. For further images of the sealed casing click on the 'more info' button below. The Omnikey 5321 CR is compatible with Read-a-Card, the contactless card ID reading application, useful for the integration of RFID technology into new or existing systems.